With over 15,000 people visiting Skellig Michael on the Wild Atlantic Way last year, no wonder the ‘sleepy town of Portmagee has come into the spot light for tourists visiting Ireland. 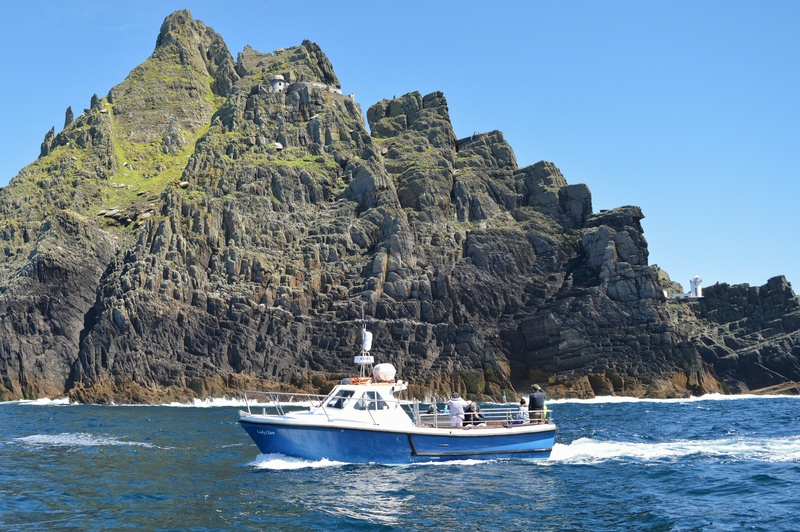 Not only has our unique little fishing village on the Wild Atlantic Way becoming famous for the filming of two Star Wars movies – The Last Jedi and The Force Awakens but we are becoming increasingly more popular as a base to tour the wonderful land marks around the Skelligs. So what can you do when staying at The Moorings in Portmagee? The Skellig Coast is a story of a journey, reflection and inspiration – shaped by the forces of the Atlantic; where land meets sea. 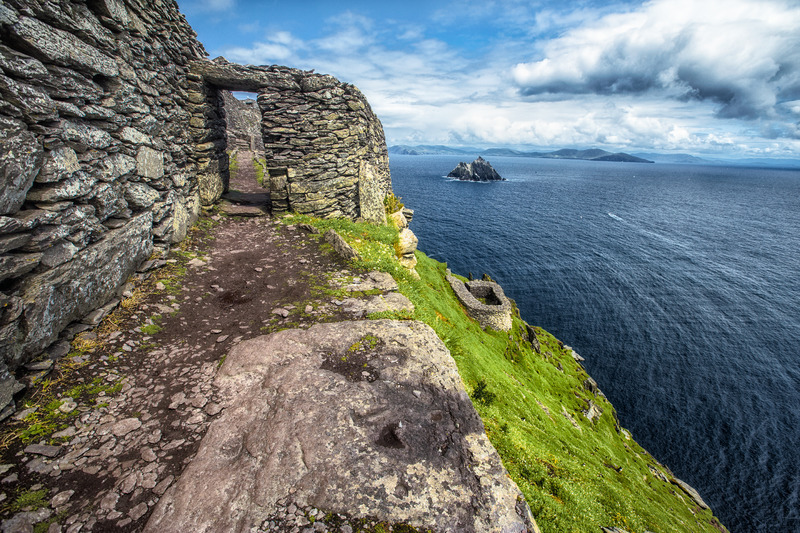 Despite its seemingly isolated location, the Skellig Coast story is one of connectedness. Driven by the historical facts and legends of monks from centuries past, their journeys have left abundance of holy sites and scared trails – connecting you with not only your inner most thoughts but also with the wonders of the universe under uninterrupted dark skies. 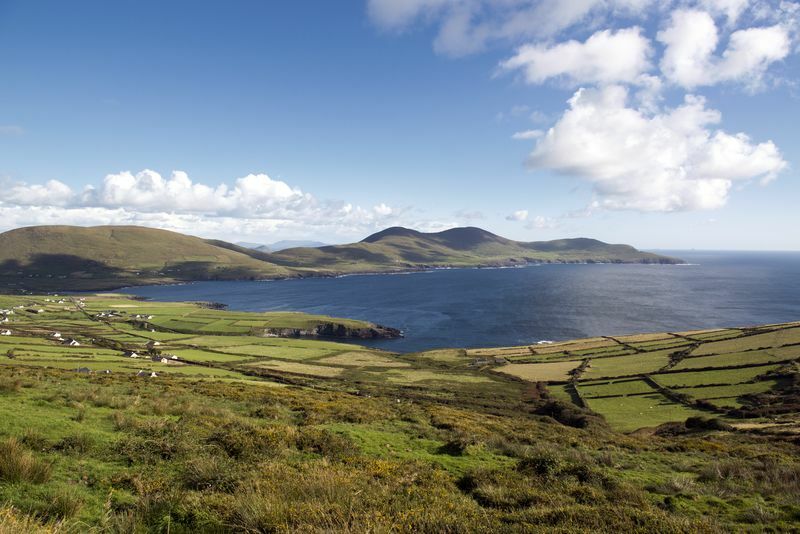 Walk or drive to the top of Geokaun Mountain for 360° spectacular views from Valentia Island’s highest point (see www.geokaun.com) Perhaps you like mountain climbing, hill walking or maybe you just like to take a leisurely stroll to see what nature has to offer. Enjoy an exhilarating and breath taking journey around this UNESCO World Heritage site onboard our very own boat The Lady Clare. 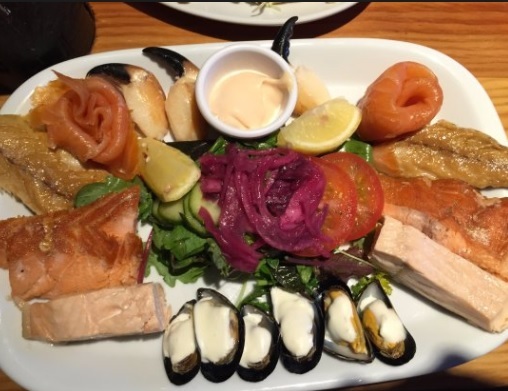 The Moorings is well known for our delicious bar food and is open all year round as well as our award winning restaurant (open in season only). Our guests especially love the fresh fish and seafood dishes. There is something on the menu to suit everyone. A night is not complete without a music session in The Bridge Bar. People travel from far and wide to join us for our well known Friday night live music and Sunday night trad sessions. Check out our events page Facebook for dates and times. No matter what you enjoy, Portmagee has something to offer everyone young and old. We love meeting new and old friends and look forward to welcoming you to stay at The Moorings in Portmagee in 2018. For accommodation details click here or contact our reservations team who will be delighted to help you plan your trip to County Kerry.